At the beginning of the year, I shared some of the books I wanted to read in 2010. Now that January is behind us, I’ll list the ones I finished during that first month. – Parenting by The Book: Biblical Wisdom for Raising Your Child by John Rosemond. I have been a fan of John Rosemond since I read The New Six-Point Plan for Raising Happy, Healthy Children years ago. His no-nonsense approach to parenting is refreshing. He has since become a Christian and Parenting by The Book is definitely written from a more Biblical perspective. I favored the second half of this particular book as he shared practical tips on parenting issues. – The Writer’s Digest Writing Clinic: Expert Help for Improving Your Work edited by Kelly Nickell. Not all of the chapters in this book were pertinent to the writing genre I enjoy, so I read only the sections that caught my interest. The list of resources in the appendix was beneficial as it allowed me to create a list of more books I would like to read on the subject. – On Writing Well, 30th Anniversary Edition: The Classic Guide to Writing Nonfiction by William Zinsser. I found this book to be extremely helpful. I can’t guarantee that you’ve seen any improvement in my writing skills :), but I gained a great deal of knowledge. This one is now on my wish list at PaperbackSwap as I’d like to add it to my own personal collection. – Deceptively Delicious: Simple Secrets to Get Your Kids Eating Good Food by Jessica Seinfeld. I found this book to be a light and quick read. It mainly dealt with making food purees and sneaking them into your kids meals to allow them to eat healthily without knowing it. – Be Joyful (Philippians): Even When Things Go Wrong, You Can Have Joy (The BE Series Commentary) by Warren Wiersbe. After getting only halfway through Spurgeon’s The Second Coming of Christ, I moved on to this title as my “spiritual” book for the month. We are studying the book of Philippians in our Sunday School class, so this helped me in that area as well. Near the beginning of the book, the author shared the following four joy-stealers that commonly enter our lives: circumstances, people, things, and worry. I feel a post about that coming up soon! My daughters and I are still going through Anne of Windy Poplars and Rebecca of Sunnybrook Farm during our read-aloud at bedtime. We’re also enjoying an old book that was given to us by a friend – Adventures in Animal Land by Dr. Hugh Pyle. Have you read any good books lately? Be sure and let me know about them. 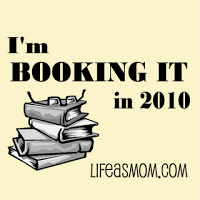 Check out what others have been reading as we Book It in 2010 with Jessica at Life as Mom. Books links are to Amazon.com and are affiliate links. "Congratulations on all of your awards! I look forward to reading your upcoming posts." I read Animal, Vegetable, Miracle last year and enjoyed it very much. It especially made me think about eating what's in season – enjoying that particular food to the fullest, then leaving it behind until it's back in season the next year. I didn't mention this in the post, but I also read a good bit of The Omnivore's Dilemma by Michael Pollan last month. I could have done without certain aspects of the book, but did feel like I learned something from it. I especially enjoyed the chapters on his time at Polyface Farm. Books on eating locally and naturally have been some of my most enjoyable reads lately! I haven't read anything lately, but thanks for the great suggestions! 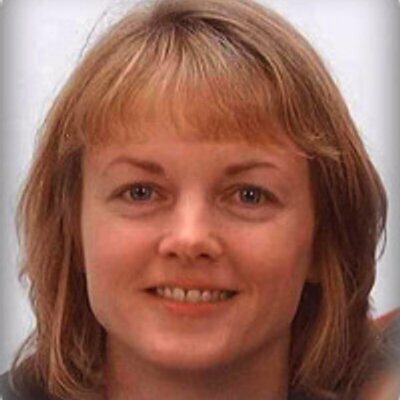 your blog is lovely – as is your family. Great list. That parenting author sounds fascinating.